Leaders of the Venezuelan opposition have accused the government of staging a coup by blocking their drive to hold a referendum on removing President Nicolas Maduro from office. Henrique Capriles called for nationwide protests next week. Election officials had suspended a petition needed to organize the referendum. The move stopped the recall vote that polls said the government would lose. 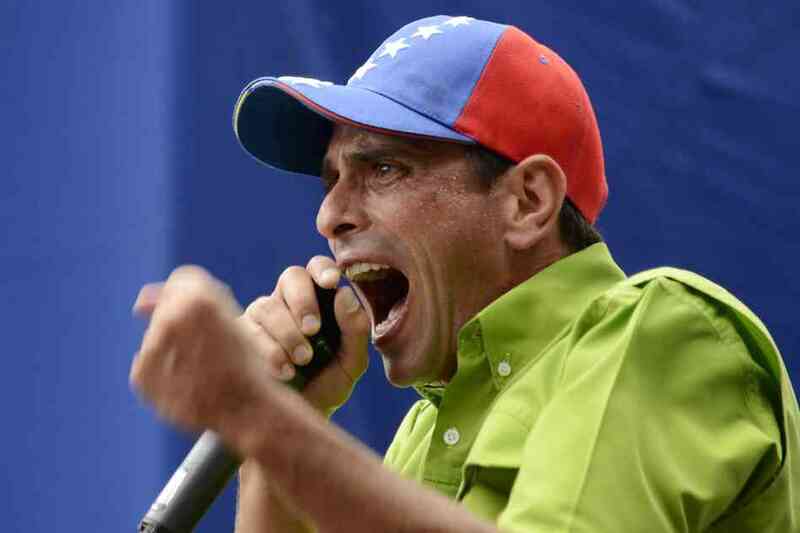 Henrique Capriles said the coup “had been carried out against all Venezuelans”. Earlier the opposition said a court order had barred eight of them from leaving the country. Reasons for the ban were not given but the council had said fraud had been reported in the referendum process. The Venezuelan opposition had planned to secure the required signatures for the recall vote next week. Another of the banned leaders, opposition coalition leader Jesus Torrealba, said: “It’s gratuitous aggression. We are the majority, in the street and in Congress. The opposition controls Venezuela’s Congress but says Nicolas Maduro has power over key institutions such as the electoral authorities and the courts. The government has accused the opposition of inventing names on the first of two petitions required to endorse the recall vote. The decision to suspend the referendum process came despite intense international pressure on President Nicolas Maduro from the US and other Latin American countries to allow it to go ahead.